pepper to ensure all your meals are perfectly seasoned! 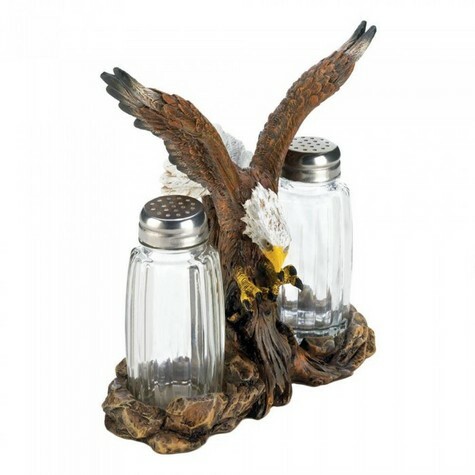 shakers set in a dramatic setting with a detailed eagle in flight. GLASS Country of Manufacture: China WEIGHT 1 LBS.